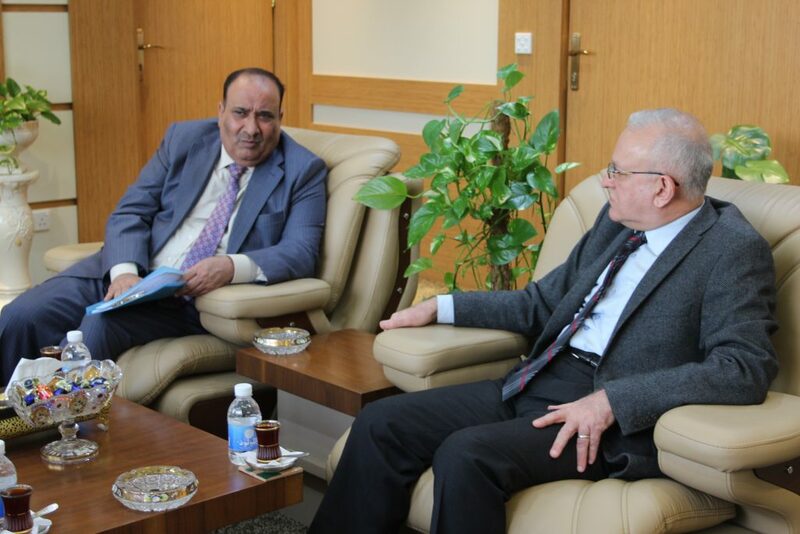 Rector of University of Baghdad, Prof. Dr. Alaa Abdul Hussein Abdul Rasool, received His Excellency the Yemeni ambassador in Iraq, Prof. Al-Khader Ahmed Marmash. The two sides reviewed the most important joint relations between Iraq and Yemen, particularly in the fields of education and scientific research. 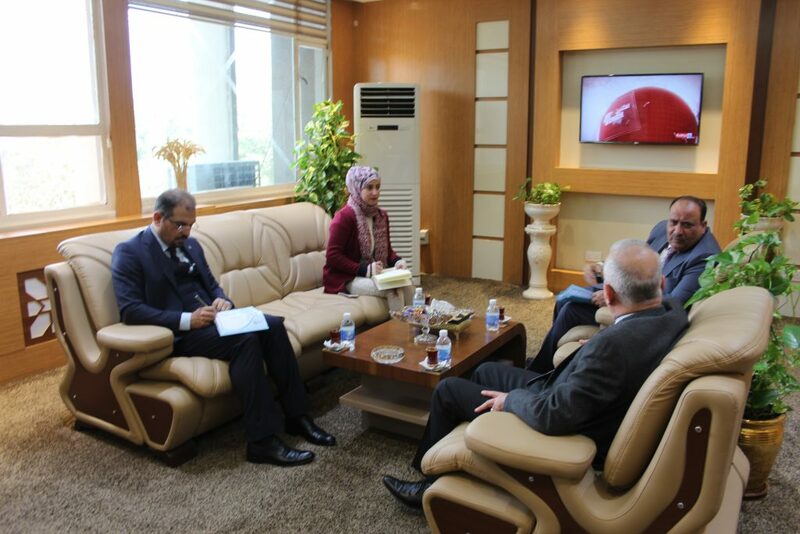 The Rector stressed the building of scientific cooperation with Yemeni universities in various academic fields. 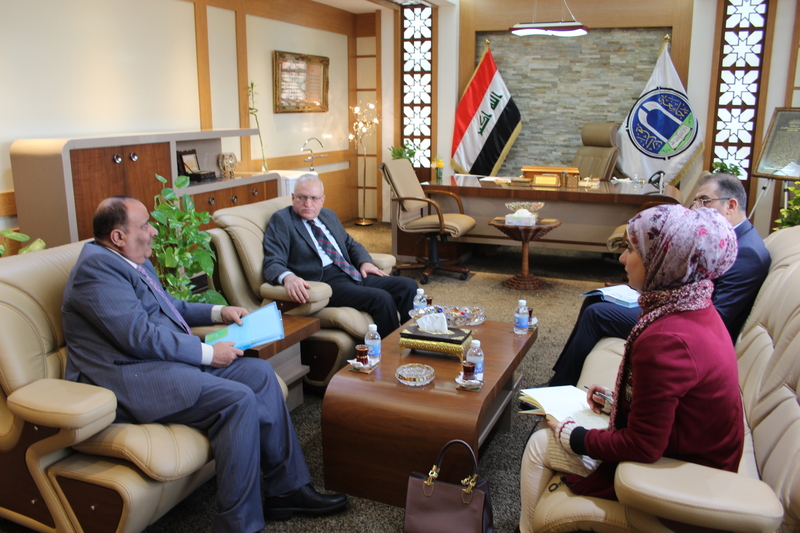 For his part Prof. Al-Khader Ahmed Marmash expressed his pleasure for being among the oldest universities in Arab countries adding that Yemen is in the process of providing scholarships to Yemens students in their quest to study in Baghdad. Prof. Dr. Alaa Abdul Hussein Abdul Rasool invited his guest to visit University of Baghdad to learn about the latest information in the fields of scientific research and other scientific activities since it had the obvious impact on establishing a number of colleges in Yemen, especially the college of pharmacy at University of Aden.